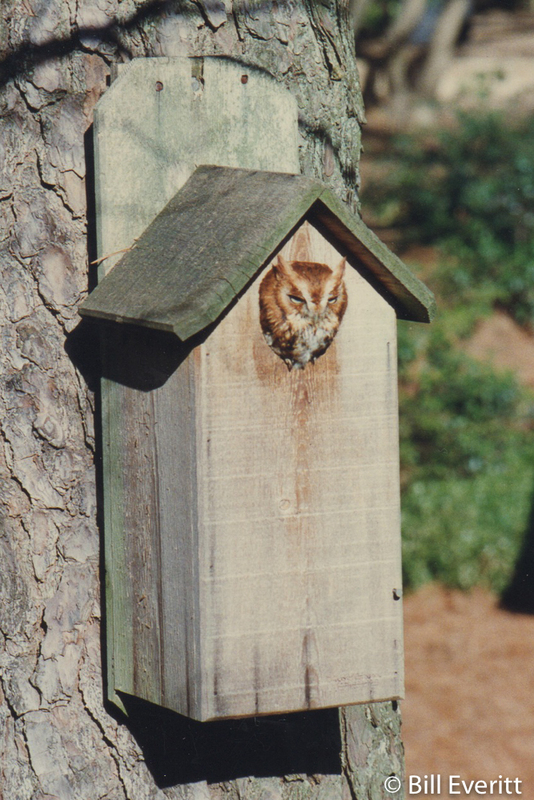 Ten to twelve years ago we had a Screech-Owl that lived in our owl house for about six months each year. 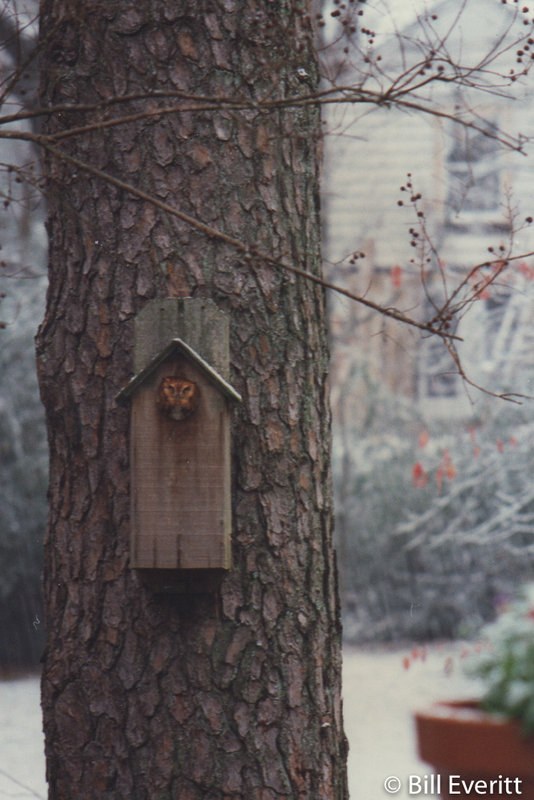 The house was at eye level on the trunk of a large pine tree near our deck and every morning his face filled the opening. He just sat there and watched looking almost human. At dusk, just before it was completely dark, the evening hunt would begin. Walking in the yard, we never heard the owl, but could sense that someone had flown by very close.